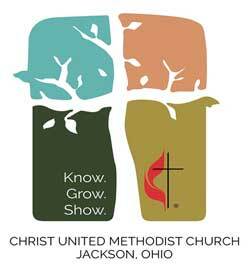 During last week’s cold snap when overnight temperatures dipped below zero at one point, the Christ United Methodist Church of Jackson and the Jackson County Homelessness Committee teamed up to open a cold-weather shelter at the church’s Family Life Center. The idea was to provide a temporary shelter for the homeless and others who had no warm place to stay, which would provide food, bedding and an overnight place to take refuge. Approximately 15 volunteers committed themselves to make it happen and the church willingly threw out the welcome mat and opened its doors. As it turned out, not that many persons were served, but organizers were deeply impressed with the support they received from both local businesses and individuals, all of whom stepped up on their own after hearing about the project. Two of the largest plants in Jackson, Speyside Bourbon Cooperage and Bellisio Foods, each donated 20 sets of bedding and pillows and McDonald’s owner Brad Munn provided a free breakfast on both mornings to those staying at the shelter as well as to the dedicated volunteers, some of whom stayed the entire night. Other local persons also wanted to help and wound up donating a total of 20 more sets of bedding and pillows, making for a total of 60 sets available, if they were needed. “I am so proud of our community for doing what they did,” commented volunteer Ken Taylor, who is a Christ United Methodist member as well as a leader of the Homelessness Committee. He noted that the donations were not solicited; it was just a matter of the donor businesses and individuals moved by the project and wanting to support it. While very few persons were served by the temporary shelter this time around, the organizers are convinced there continues to be a standing need in the community and county -- there is no established homeless shelter in all of Jackson County -- and they are ready to offer the same service and facilities again when a similar situation occurs. They are also buoyed by the fact they know they have community support to back them up. Taylor said organizers believe they learned some valuable lessons on communication with this initial experience. They counted on social-media posts and also by contacting and working through the Jackson Police Department and the Jackson County Sheriff’s Office. They know now that this was not enough as many of the poor and homeless may lack electronic devices such as computers and cell phones. They also may lack transportation to even get to the shelter. One of the remedies will likely be to advertise established “pickup points” where the church van can go to pick up those wanting to go to the shelter. Project leaders will be meeting this week to talk about how to make sure that those who need to use the shelter know that it is open and have a way to get there. Yes, baby, it was cold outside this past week. My cell phone told me the mercury dipped as low as six degrees below zero in the early-morning hours of Thursday. My Total Media colleague, Joel Walton, who lives just outside McArthur in Vinton County, reported that his outside thermometer read 20 degrees below zero at one point. But it can be -- and has been -- colder. Local Facebooker Carmel Snyder Johnson posted a photograph of a front page of The Jackson Journal-Herald edition of Jan. 21, 1994 which reported a low temperature of minus 38.2 degrees, which was recorded at the South District Extension Center just south of Jackson on Wednesday morning, Jan. 19. In that same article, Oak Hill area resident Charles Thompson sent a photo of his outdoor thermometer which was registering minus 39 degrees. The 1994 newspaper article noted the minus 38.2 temperatures broke the previous low-temperature record of Jackson of minus 32 degrees in the winter of 1962-1963. I was 8 years old and living in Jackson at that time and remember that bitterly cold day. As I recall, school was in session that day. I would like to pass on a sweetly ironic anecdote from Urbana resident Dan Walter, who was in Jackson recently to preside over a memorial service for his longtime friend, Jackson native and Jackson High School graduate, Layne Longfellow. Walter wrote that when he drove into Jackson prior to the memorial service, he noticed his vehicle had low air pressure in the tires. When attempting to remedy the situation, he had initial problems finding a place where there was an air pump that was available. He later found a “tire place” at the corner of Main and Bridge named Poor Boys Tires where he reported that he received the service he needed. The irony is that Poor Boys Tires is located in the same building where Layne’s father, the late Hershel Longfellow operated Longfellow’s Shell Service Station for many years.